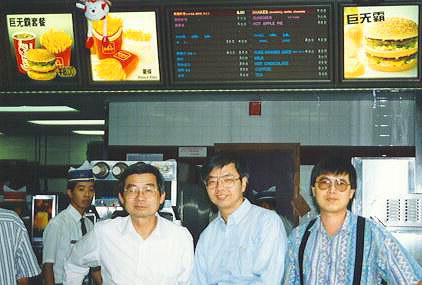 McDonald's in the land of Mao Zedong, 1994. Guangzhou, Guangdong, Peoples' Republic of China. Left to right: Prof. Pak Chu (UNSW), Alan Lam (UWSM); me. told us that taking pictures was not permitted in the premises.